If you are in Eurpore and use Windows, Microsoft will soon push a “browser ballot” screen like this to your system (via Windows Updates) to help you install a new browser other than Internet Explorer. The order of browsers in the screen will be random. 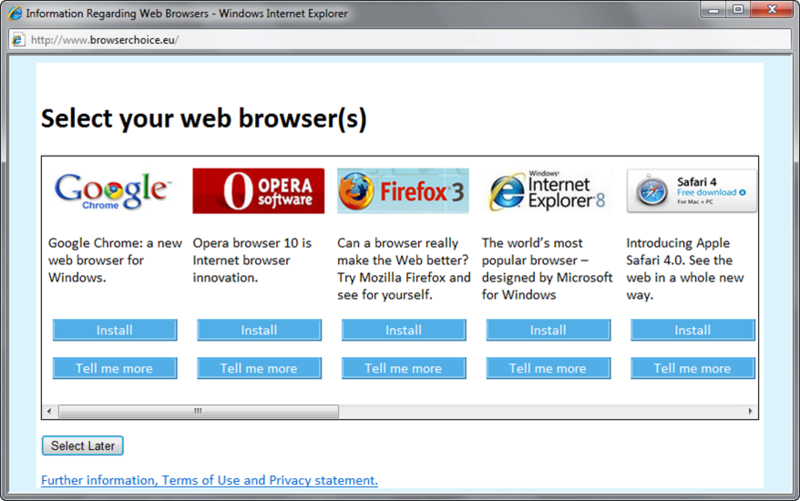 Here’s the story: Microsoft bundles their Internet Explorer browser with every version of Windows. Rival browser makers including Opera, Mozilla (Firefox) and Google (Chrome) weren’t too happy about this so they filed a complaint with EU saying that this factory bundling of Internet Explorer in Windows was harming competition. Now instead of paying billions of dollars in fines to the EU, as they have done in the past, Microsoft came with an alternate solution that has now been accepted. Microsoft will send “ballot browser screens” via Windows Automatic Update to all Windows users in Europe so that they can pick and install an alternative to Internet Explorer (see screenshot above). The screen will only be shown to users who have Internet Explorer set as their default web browser. Microsoft is also enhancing the “Control Panel” for Windows users in Europe so that they can easily disable or turn off Internet Explorer on their machines with a click. 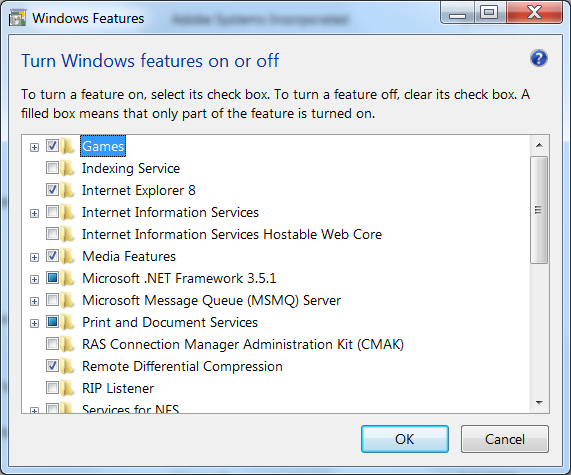 Once disabled, users will not be able to launch Internet Explorer on their computer for any reason, even if no other browser is available on the system. It won’t however uninstall Internet Explorer from the system.